Thomas Walsh, MD, is board certified in nuclear cardiology, cardiovascular disease and internal medicine. He earned his medical degree at the University of Miami Miller School of Medicine and completed his residency in internal medicine at Wake Forest University Baptist Medical Center in North Carolina. Dr. Walsh is a recipient of the Silver Research Award for advanced cardiac imaging, and an active participant in clinical studies and research. He is a member of the American College of Cardiology and the American College of Physicians. 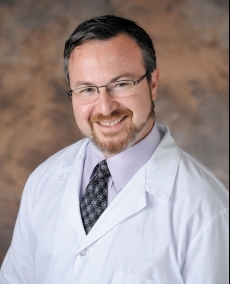 As a COCATS Level II certified physician, he performs cardiac catheterization, echocardiography, nuclear imaging, cardiac MRI and cardiac CT to treat cardiovascular diseases or disorders in adult patients. He is currently Director of the Echocardiogram Laboratory. With his special interest and extensive experience in advanced cardiac imaging, Dr. Walsh uses a more imaging-directed approach towards diagnosing and managing the cardiovascular concerns of his patients. Dr. Walsh believes in the importance of family. Knowing that each person is part of a family, he cares for his patients as if they are part of his.